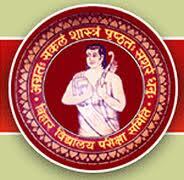 Bihar Secondary Intermediate Teachers Eligibility Test (STET) Examination paper leaked today (17th February 2012). STET 2012 Exam question paper was sold in market from Rs. 2000 to Rs. 200 in Saharsa and other part of Bihar. Police is investigating the case and official announcement for Cancellation of STET Exam 2012 and new schedule is awaited from Bihar School Examination Board(BESB), Patna. Bihar STET Exam 2012 is conducted to test the eligibility of candidates for the primary education teachers of classes 1 to 8th. Meanwhile 13 people arrested in Jamui and 4 man in Supoul last night and police is investigating the case.